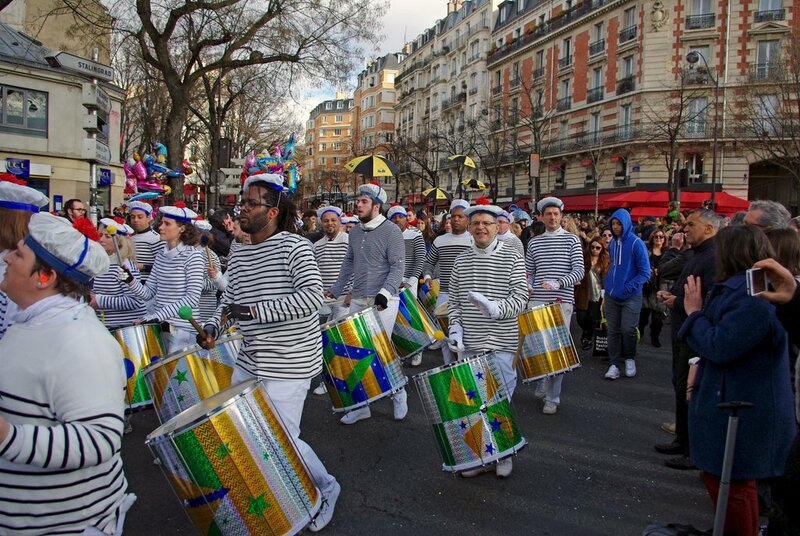 In Paris the carnival has a long story and can be traced back to the Middle-Ages. 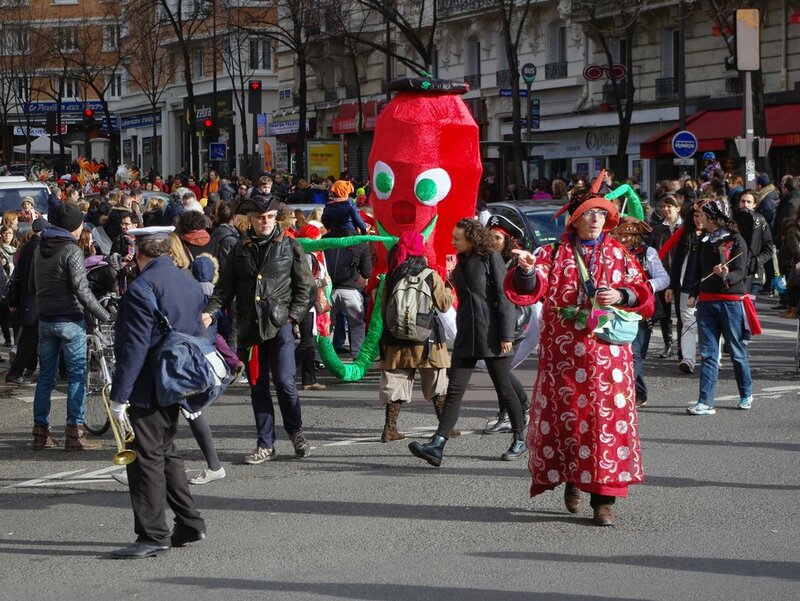 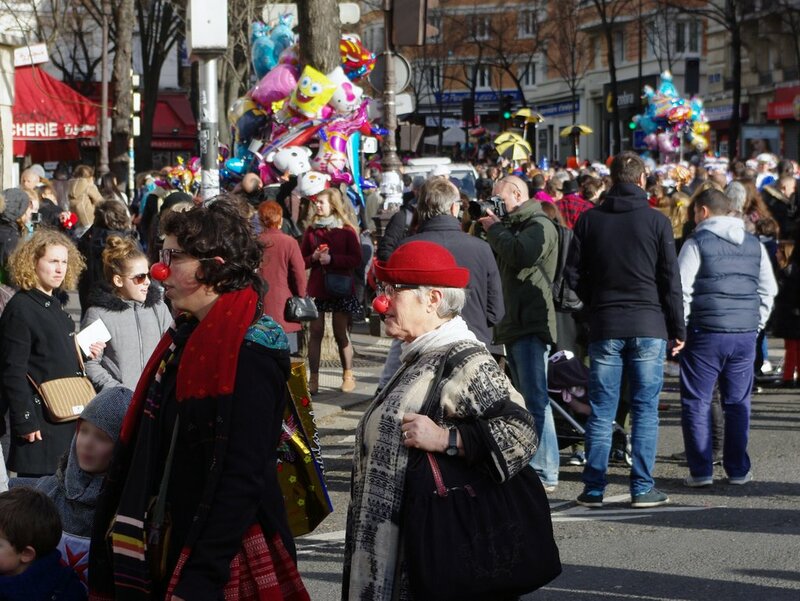 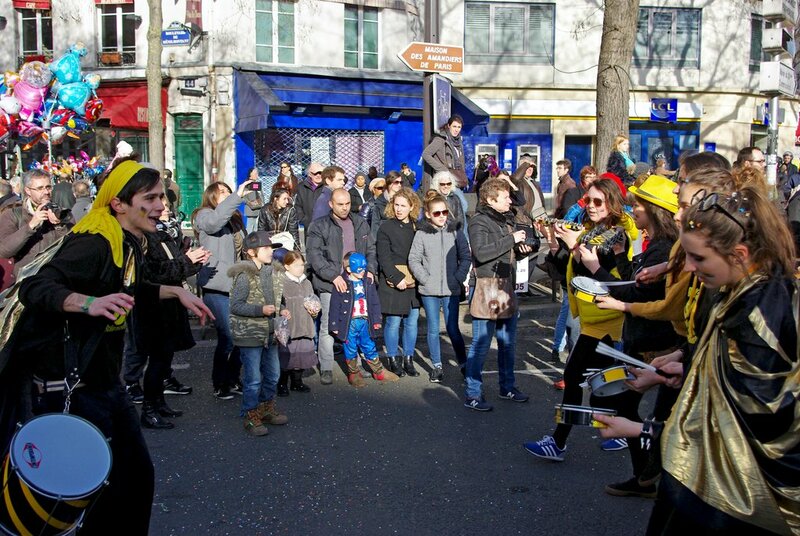 After a long hiatus between 1952 and 1997 the tradition of the Paris Carnival has been revived through a noisy colourful parade drawing tens of thousands Parisians and visitors from the Place Gambetta to the Place de la République. 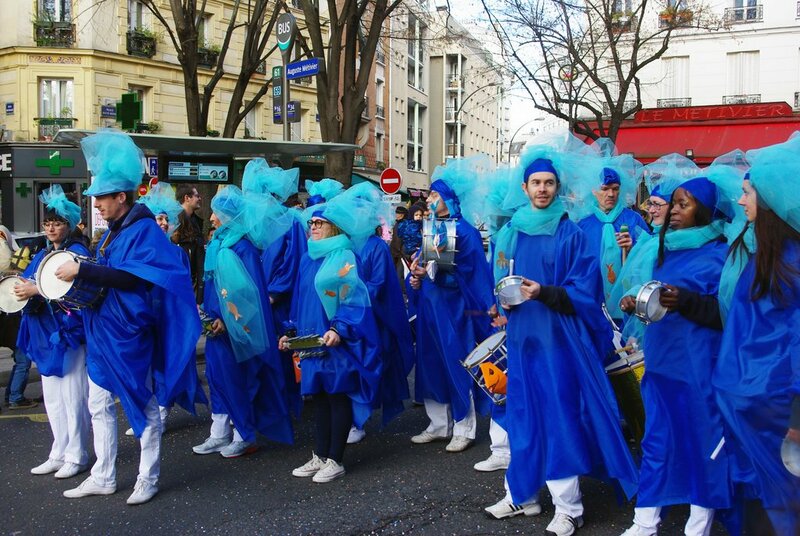 Mardi-Gras (Fat Tuesday) is a special day when carnivals are organised. 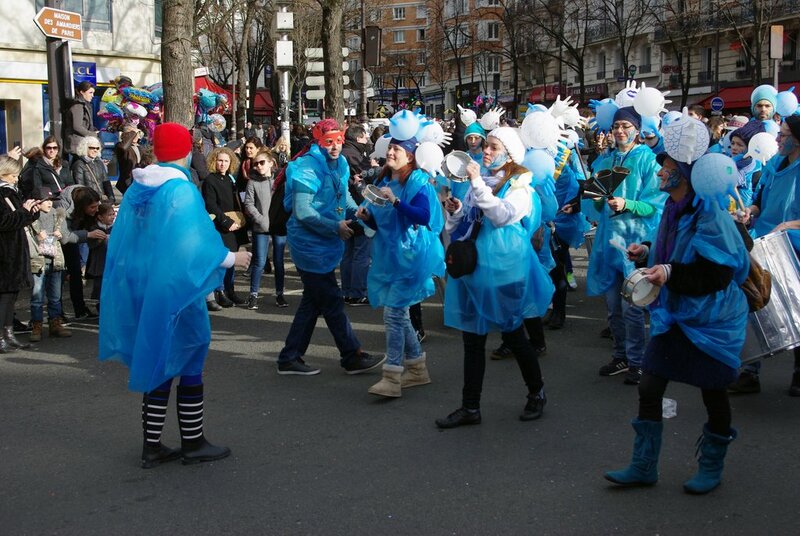 It is time to eat beignets such as oreillettes (crispy fried pastries with icing sugar) and beignets de carnaval (small balls of deep fried dough dusted with granulated sugar). 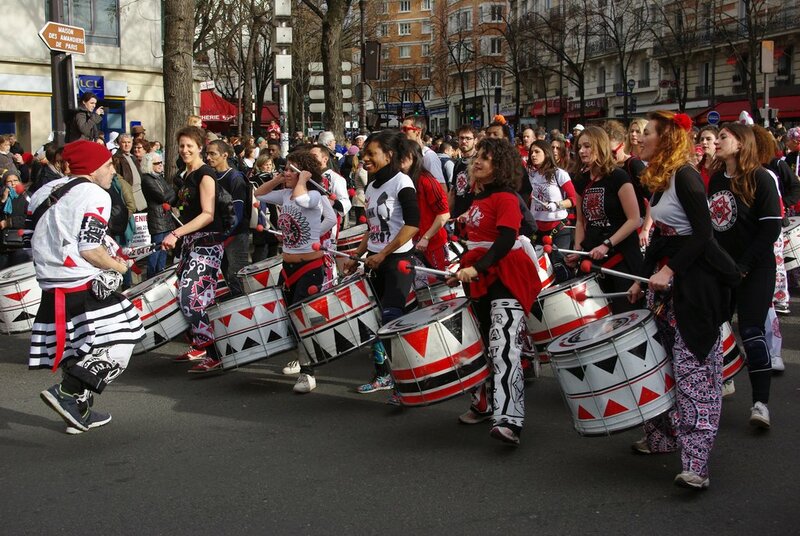 The Paris Carnival has a long story and after a long interruption between 1952 and 1997 the tradition has been recently revived. 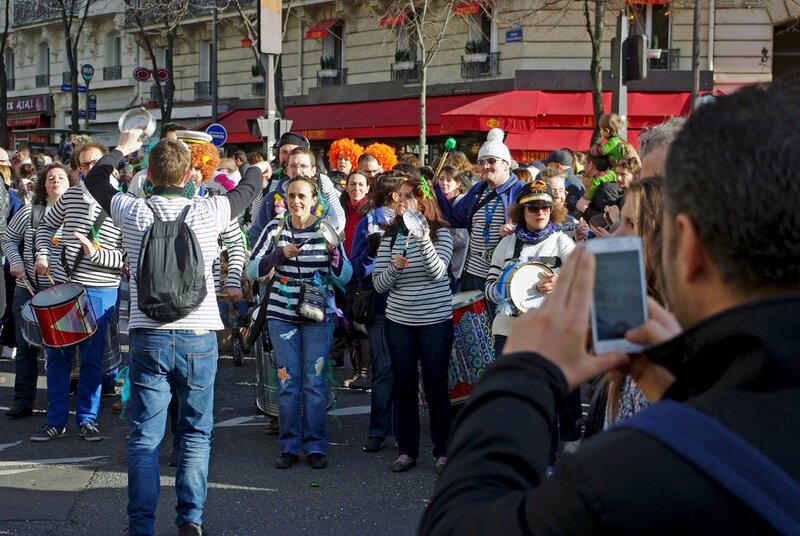 In the Middle-Ages the Paris Carnival was linked to the popular celebration of the Feast of Fools which preceded it. 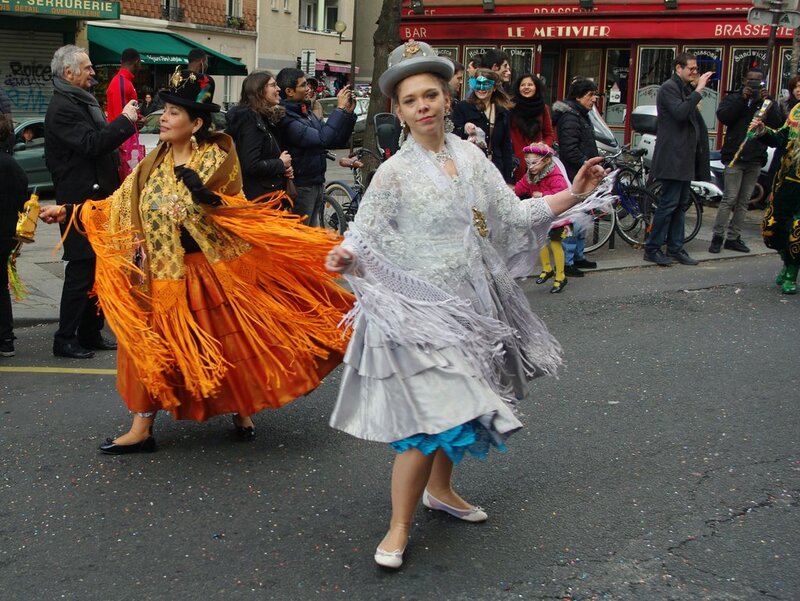 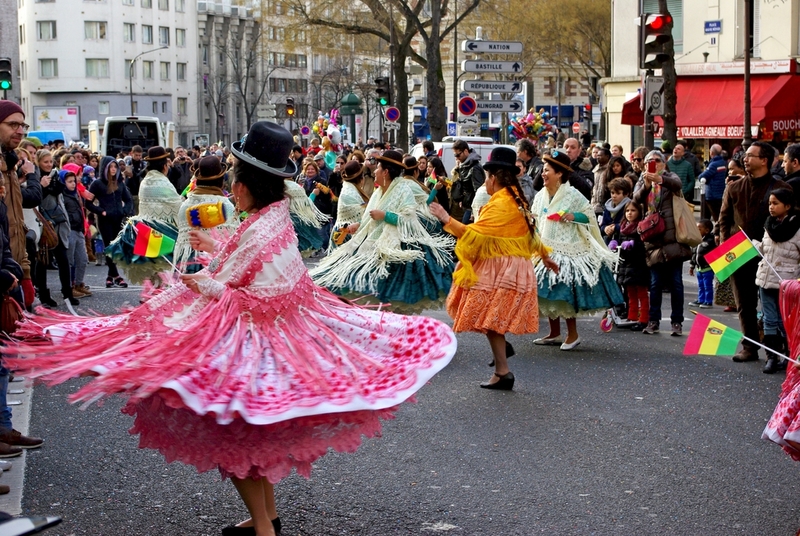 The Paris Carnival was an important tradition and festive event, involving all social classes from workers to corporations, from students to trade unions. 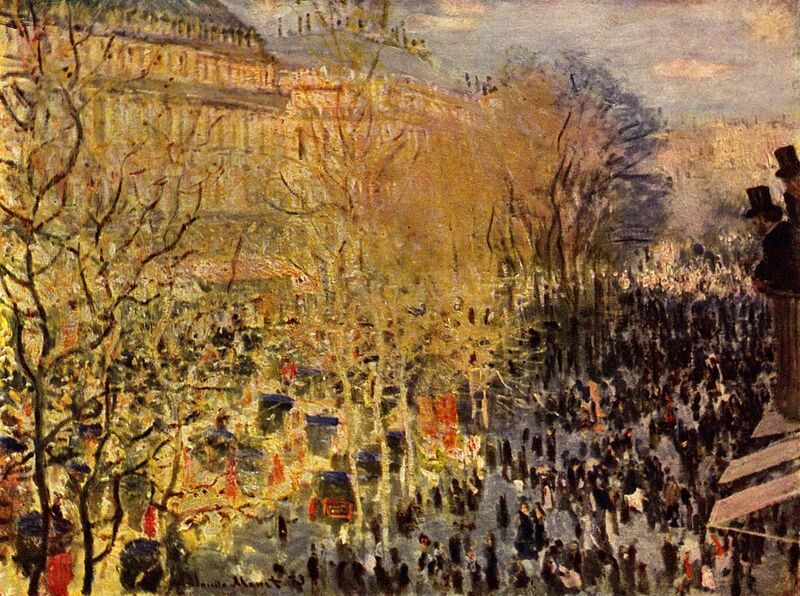 The carnival used to last several months from Epiphany to Lent with a highlight on Fat Tuesday (Mardi-Gras). 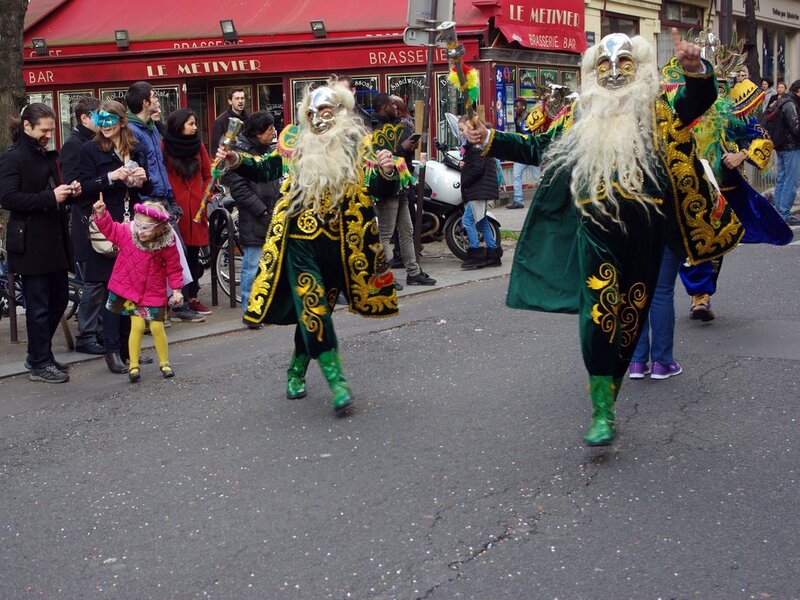 The Parisian celebrations of Carnival on the streets comprised of the walk of masks and the processions. 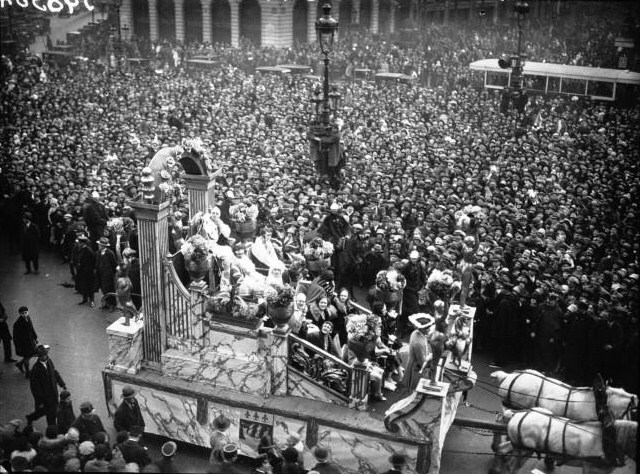 The float of Paulette Cayet Queen of the queens of Paris on the Place de l’Opéra – 15 March 1928. 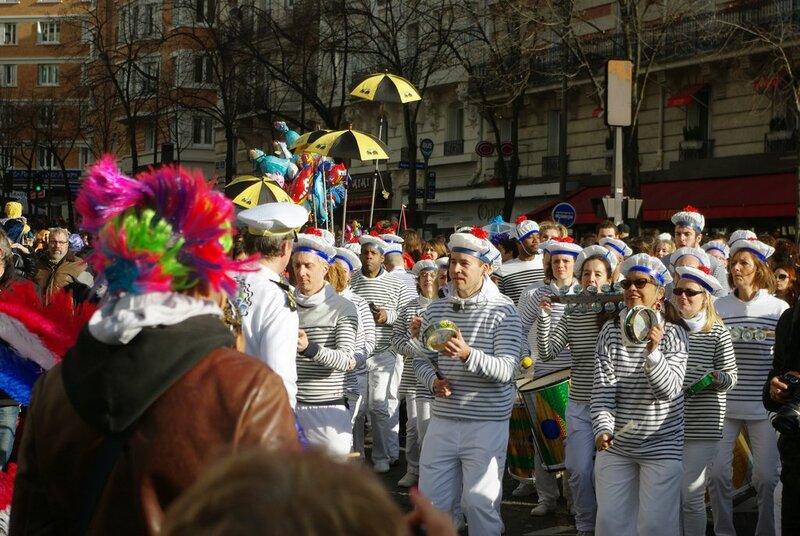 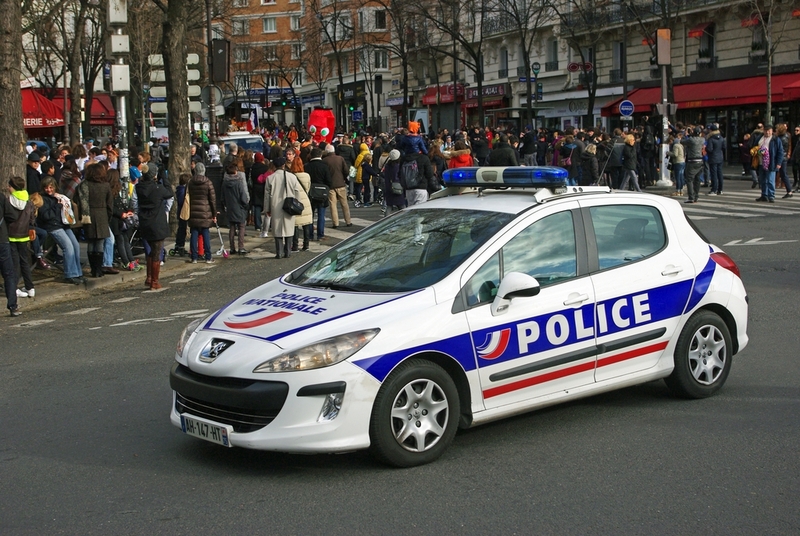 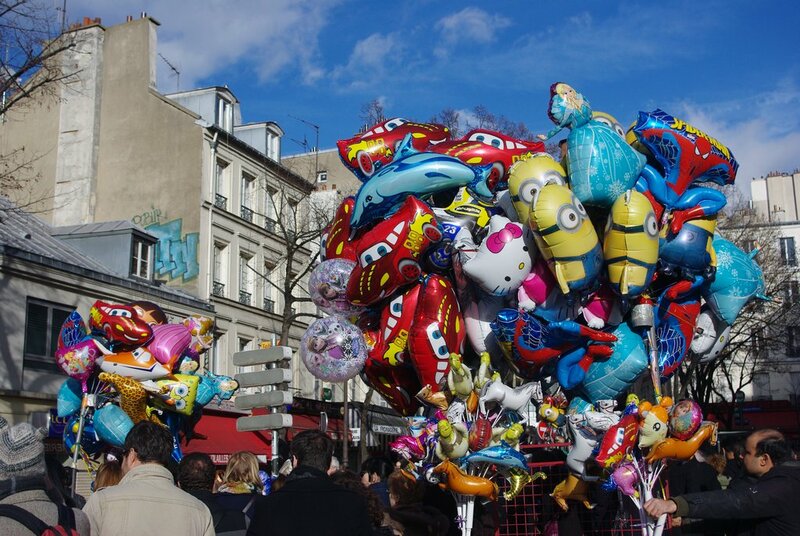 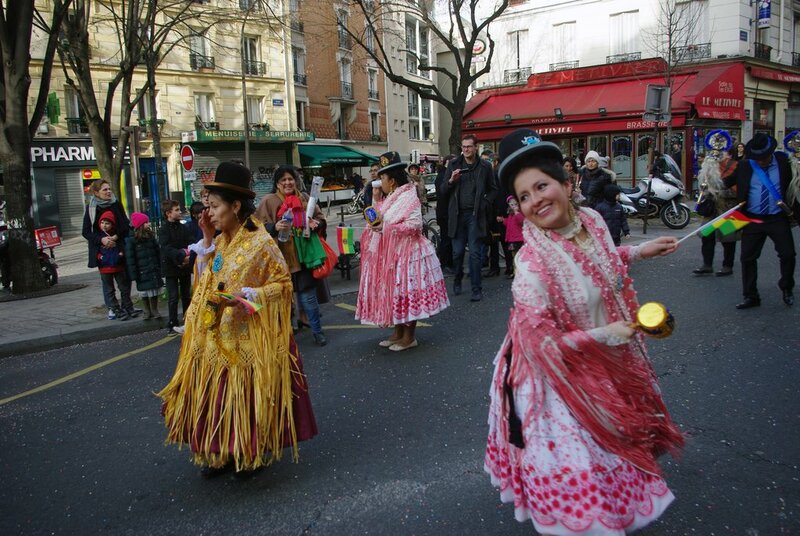 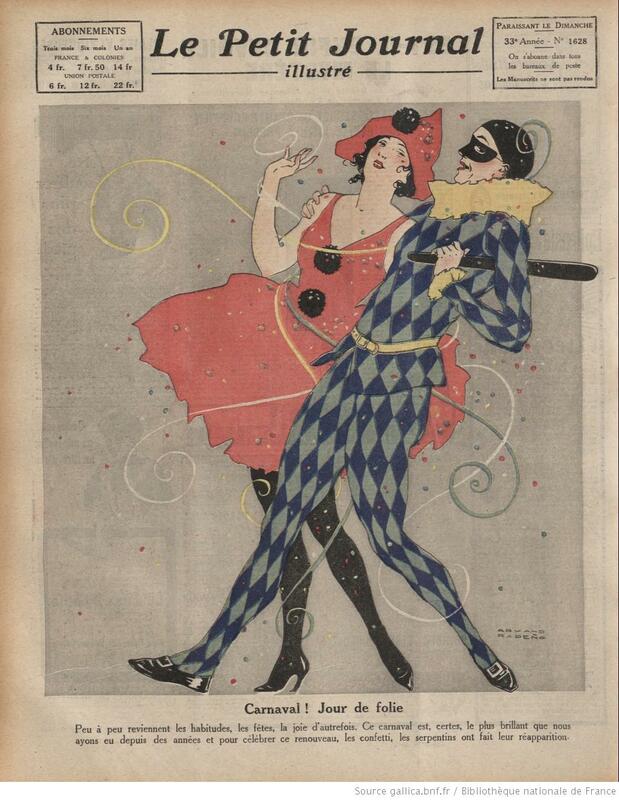 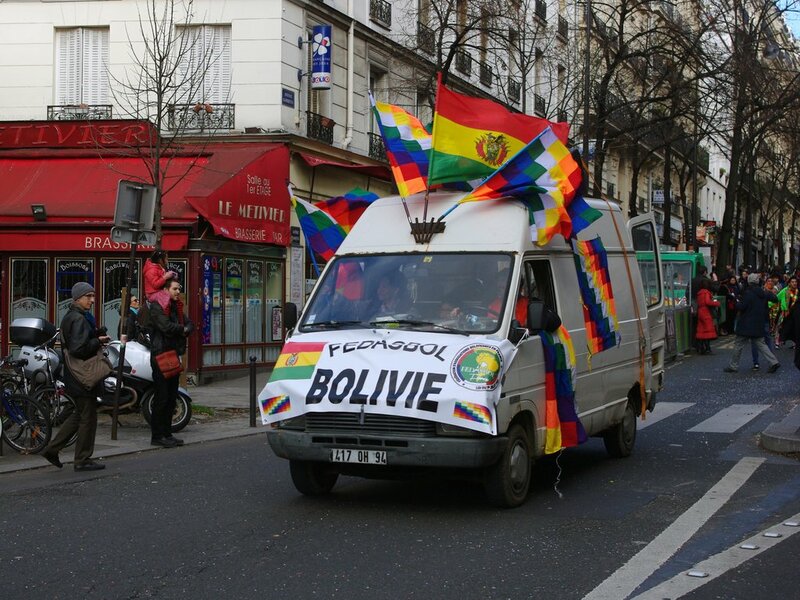 The carnival was abundantly relayed by the medias as one of Paris’ largest festive events. 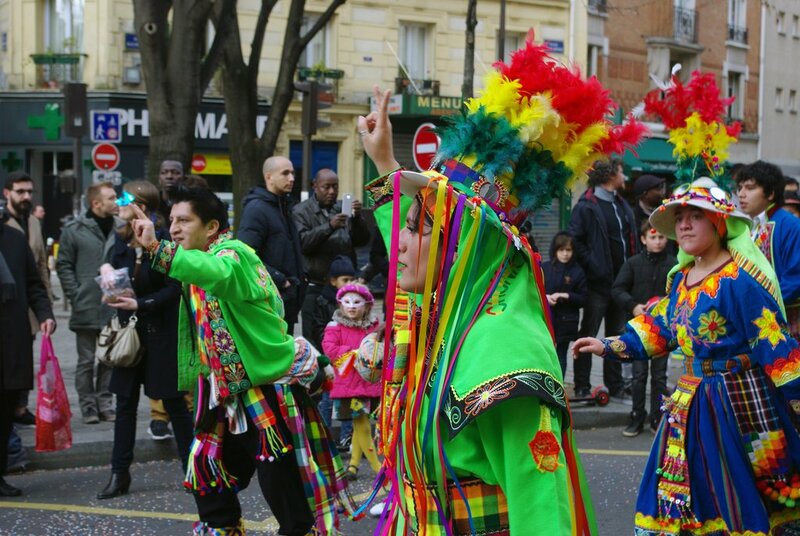 Because of political and social tensions the Paris Carnival came to an end in 1953 and was quickly forgotten by the Parisians. 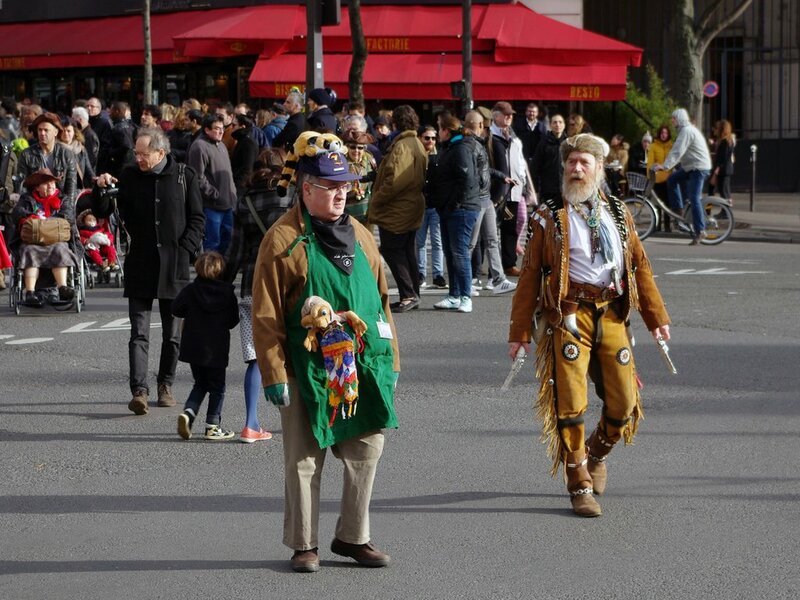 In the 1990s the man on the street completely ignored the fact that a proper carnival once existed in Paris. 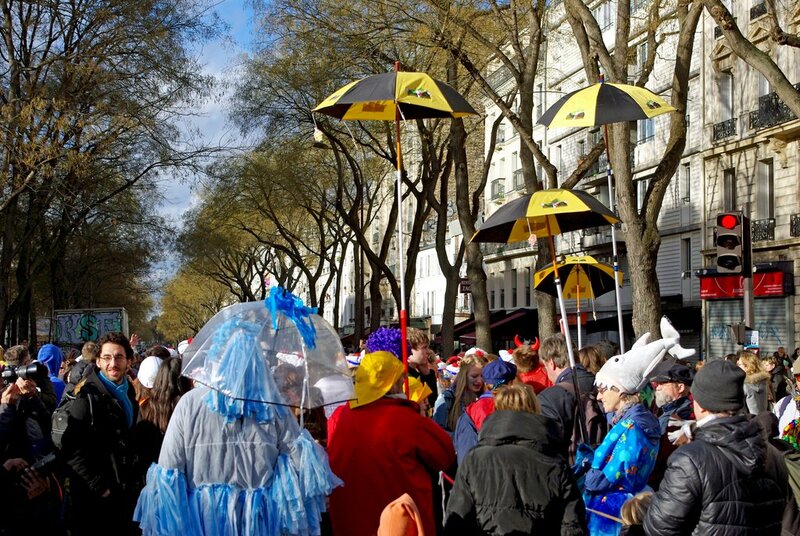 Thanks to private initiatives the Paris Carnival was revived in 1997 and has been running since, attracting media attention. 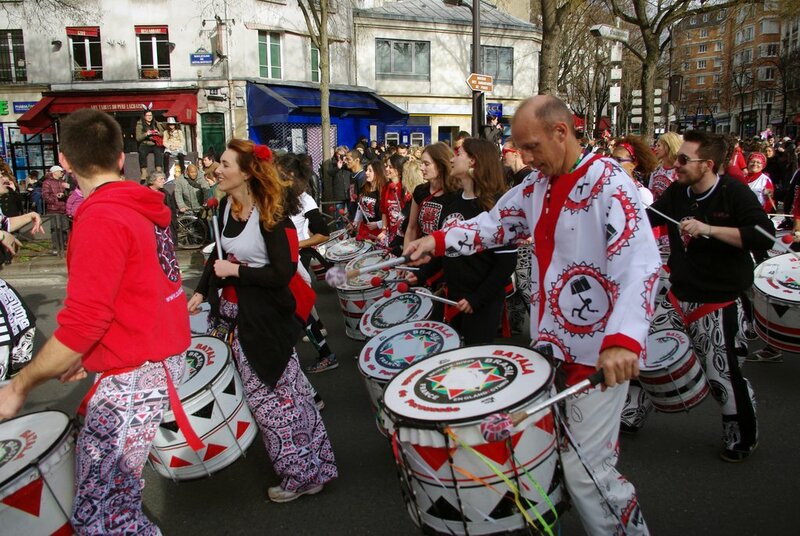 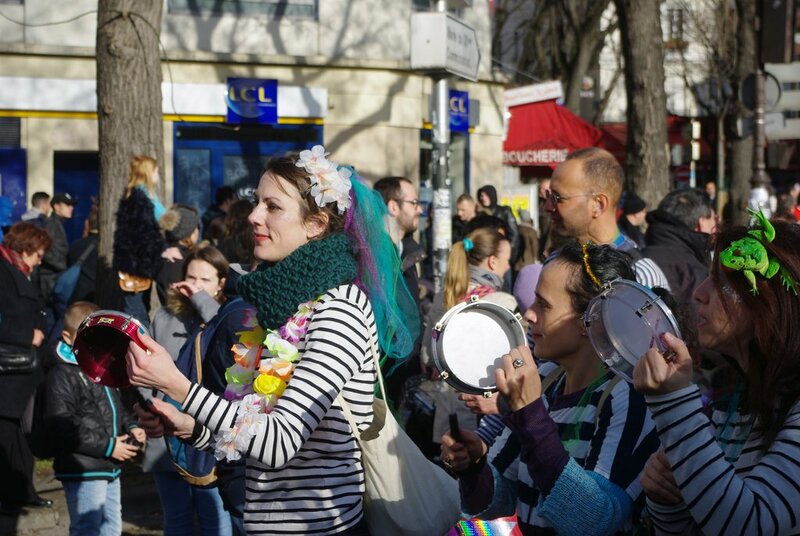 The noisy and colourful parade is made up of several groups of revellers carrying extravagant outfits playing drums and whistles. 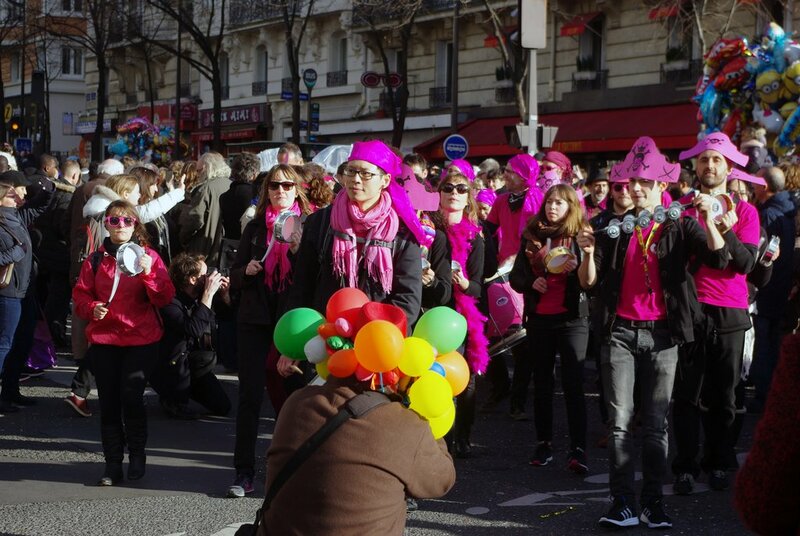 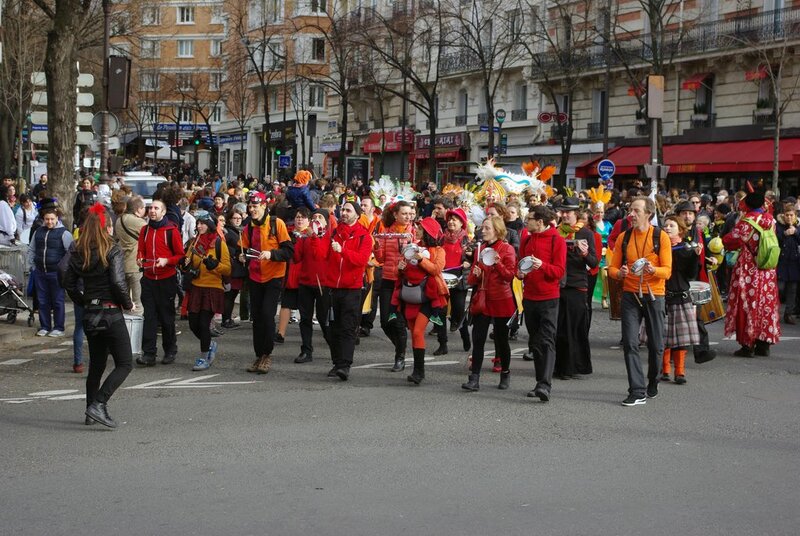 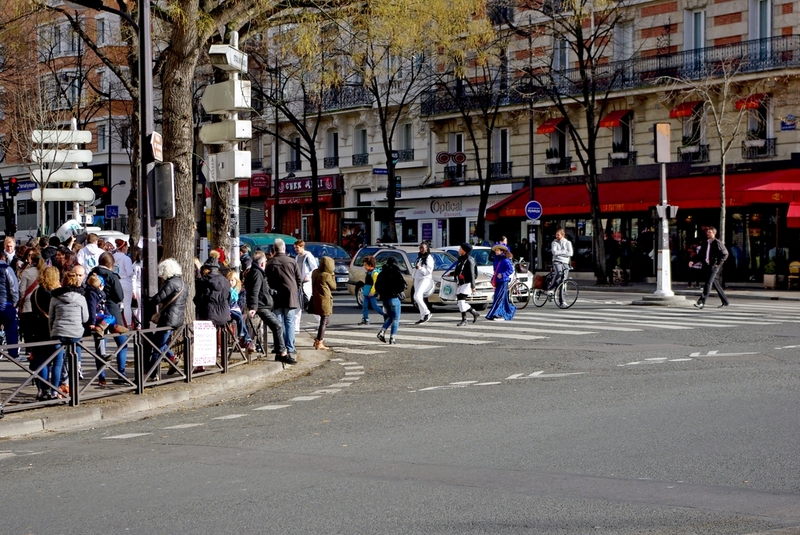 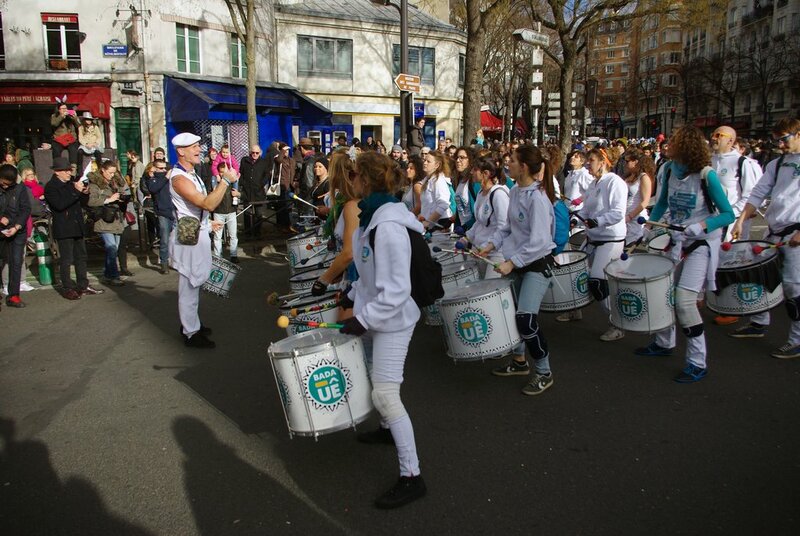 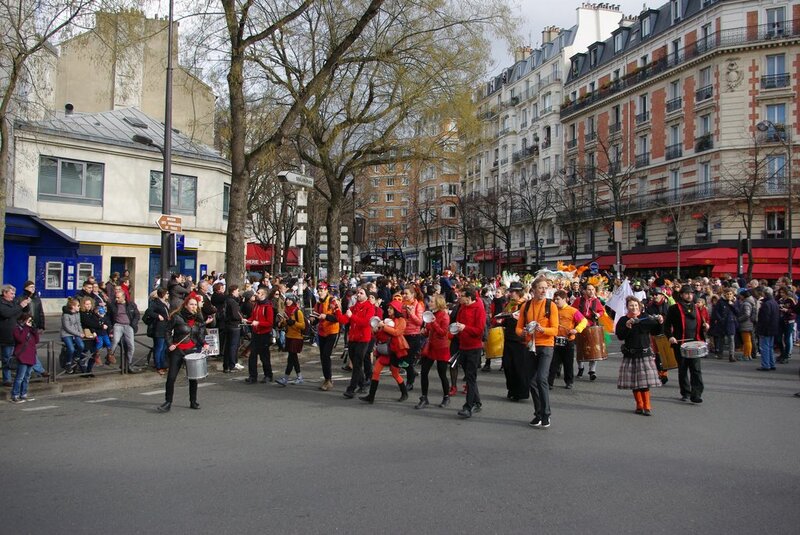 Nowadays the parade starts from the Place Gambetta (20th arrondissement) and runs through avenue Gambetta, boulevard de Ménilmontant, Boulevard de Belleville and rue du Faubourg du Temple. 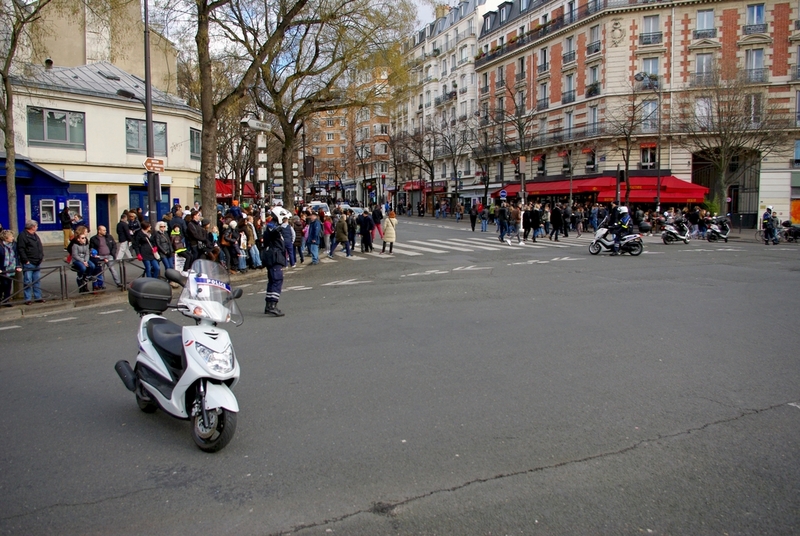 A few hours later the procession ends at the Place de la République with a big party organised in the central island of the square.